Well-behaved dogs are welcome in many local pubs and cafes. The local Driftwood Café in Blue Anchor (2 minutes from the chalet) has several water bowls and makes the canine community very welcome. The Smugglers pub in Blue Anchor welcomes dogs inside and out. Good range of bar and restaurant food (from simple bar snacks to restaurant dishes). They are also welcomed at The Blue Anchor pub at the other end of the promenade to the Chalet (‘chippy’ sort of menu, and very friendly). In Watchet, dogs are particularly welcome in The Star Inn (any time) and in some other pubs. Sharing a picnic on the Esplanade is usually acceptable to canines! Dogs are allowed on Blue Anchor Beach all year round. Clearing up after dogs is required within the chalet park area, and is encouraged along the beach or footpaths where necessary. Special bins are easily found. The beach has large pebbles at the top, then a wide strip of sand further down. If the tide is out, it is not a good idea to try to get to the waves as there can be a lot of mud. As soon as the sea is half way in, the beach is sandy and good for paddling and swimming. There is a sand/gravel path to Dunster and Minehead at the top of the beach, next to the steam railway. 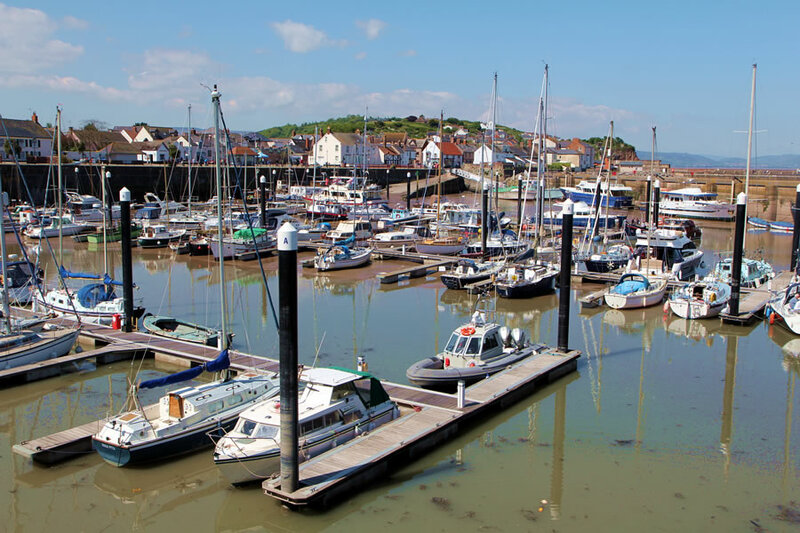 In Watchet, dogs can go on the small West Street beach, on the West Pier and round the Marina on the East Quay. 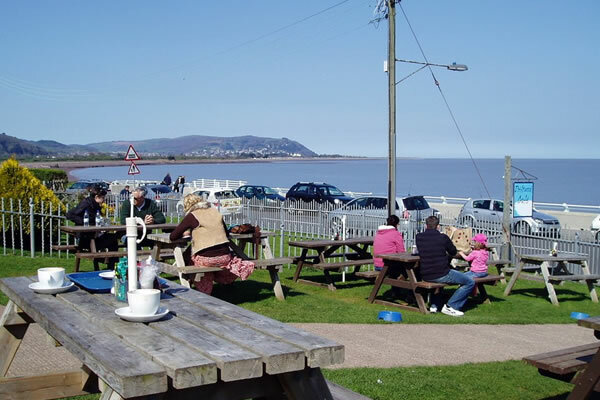 In Minehead, dogs can use the beach near the golf course (eastern end of the beach, near Butlins) , and by the harbour (western end) all year round. They can go on the main town beaches from October to February only. Dogs are welcome on the steam trains of the West Somerset Railway, at a charge of course, and they love it. There are many canine train enthusiasts on the line! Please bring your own dog bedding and bowls etc. The patio doors give great views of the beach, other canines etc, and access to the paved area for outdoor sniffing and observation. Our dogs love it! The small paved area has a 1 metre picket fence. As you would expect, dogs are not allowed on the furniture and must not be left unattended, please, and ‘deposits’ in the chalet park need to be collected; there is a red bin near the entrance gate. Blue Anchor is enjoyed by families, so, of course, dogs need to be friendly and well-behaved. To reassure other residents and visitors, please keep your dog on a lead (or under very close control) whilst in the chalet park area. Charges – £3 per dog per night.